“Deal for Anheuser-Busch Is Said to Be Near"
In a reversal of its previous hostility to the idea, Anheuser-Busch is in active talks to sell itself to the Belgian brewer InBev in a friendly deal, people briefed on the matter said Thursday night. Exact terms of the potential deal could not be learned, but one person said that InBev had indicated that it would be willing to pay more than the $65 a share it had originally offered. People briefed on the deal cautioned that the talks might still break down. In striking an agreement, Anheuser risks a political backlash from the growing number of hometown politicians and customers who had supported the company in its efforts to remain independent. Helping to drive the deal talks was the indication that some of Anheuser’s largest shareholders, including Warren E. Buffett, were leaning toward backing a deal with InBev. If a deal is reached, it would end more than a month of hostilities between the two beer giants and create the world’s largest brewer. It would combine Anheuser, the maker of Budweiser and a fixture in American culture, with InBev, the producer of Stella Artois, Beck’s and Bass, creating a new behemoth with distribution channels around the world. Since InBev unveiled its original $46.3 billion, $65-a-share offer in June, however, the two sides have waged a very public and very bitter brawl. 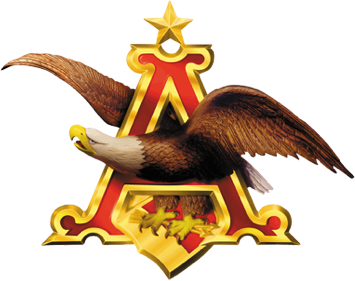 Both companies have sought to press their case in court: InBev has sought to oust the American company’s board, while Anheuser accused the Belgian brewer of lying about its financing commitments and criticized it for having operations in Cuba. The fight is set against a backdrop of rising prices for beer ingredients like grain and a rapidly consolidating beer industry. Giants like InBev and SABMiller, the world’s two largest brewers — which were themselves the products of mergers struck this decade — have raced to outstrip each other in market share. Though SABMiller, based in London, currently holds the No. 1 position, an Anheuser deal would propel InBev to the top spot. While the United States remains the world’s largest beer market, domestic brewers have struggled in recent years as their customers drift toward wine and spirits, as well as craft beers and imports. That has tempted the international brewers, as has the weak American dollar. SABMiller and Molson Coors will combine their operations in the United States, forming a formidable rival to Anheuser. InBev has been mindful of the political pitfalls that could befall a hostile bidder for an American icon like Anheuser. The company said that it would keep St. Louis as its North American headquarters and would try to keep the Anheuser name somewhere in the combined brewers’ new title. Yet on Monday, InBev said that it would begin to canvass Anheuser’s shareholders, seeking their support in ousting the company’s directors. It named an alternate board, including a dissident member of the controlling Busch family. August A. Busch IV, Anheuser’s chief executive and a scion of the company’s longtime owners, has consistently said that InBev’s offer is too low. But he has felt pressure to enhance his company’s long-stagnant stock. To counter InBev’s claims that it could bolster Anheuser’s bottom line, Mr. Busch and his management team have said that they will cut the company’s work force by as much as 15 percent. Analysis? Well, eventually, the more money you offer, people start to see things differently. The whole cuba thing’s pretty silly though. Cheers!